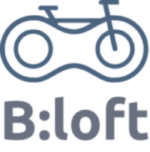 Enter B:loft Photo Contest by submitting a photo at events@bloft.lu with the subject line “Photo contest”. Provide the following information: the full name of the person who has taken the photo, the photo title (a brief description is welcome) in LU/EN/DE/FR and attach one photograph. Deadline: 9/9/2017. The submitted images will be evaluated by the jury who will award one main prize and may select honorable mention(s) at their discretion. MAIN PRIZE: EUR 100 worth of voucher to be used in S-cape shop. The award ceremony will take place during Mobility Week (16-22 September). Details to be announced soon. Following the ceremony, you are welcome to join us for B:Ride in the city. 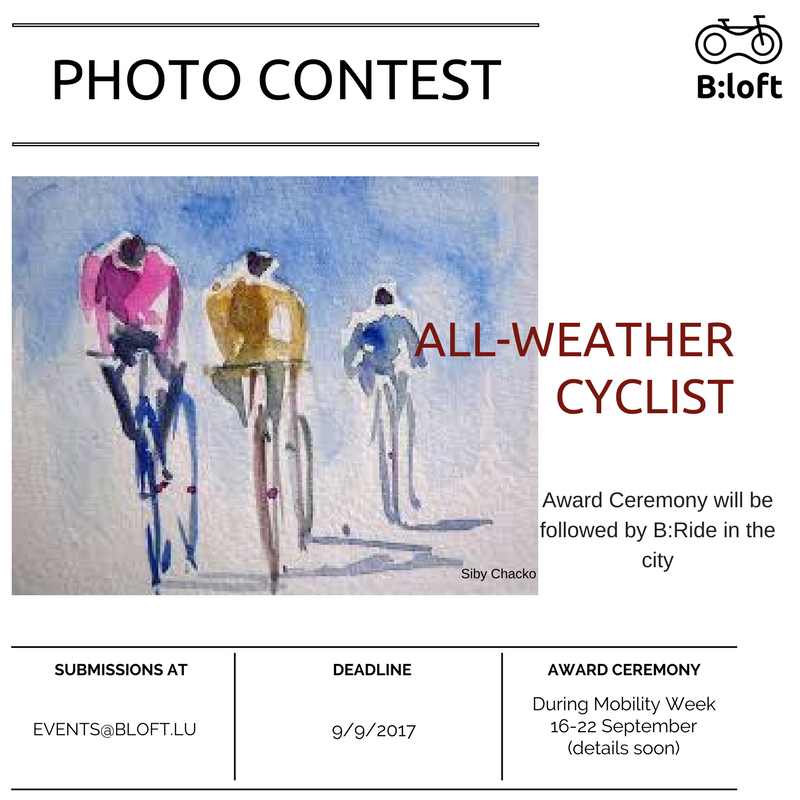 Send us an email at events@bloft.lu com with the subject line “Photo contest”. Provide the following information: the full name of the person who has taken the photo, the photo title (a brief description is welcome) in LU/EN/DE/FR and attach 1 photograph. Each entrant may submit ONE photo only. Submission deadline is 9 September 2017, 23:59:00 p.m (CET). The jury reserves the right to extend the deadline. Photographs will be judged based on relevance to topic, originality, overall impact, composition. By entering the photo contest, you acknowledge that the submitted photograph is an original work created solely by you, that the photograph does not infringe on the copyrights, trademarks, moral rights, rights of privacy/publicity or intellectual property rights of any person or entity, and that no other party has any right, title, claim, or interest in the photograph. The jury consists of three members who will evaluate submitted photos and select winners by 16 September 2017. The judges will award one main prize and may select honorable mention(s) at their discretion. Decisions of the judges are final and binding. Entrants agree that their personal data, especially names, may be processed, shared, and otherwise used for the purposes and within the context of the contest.